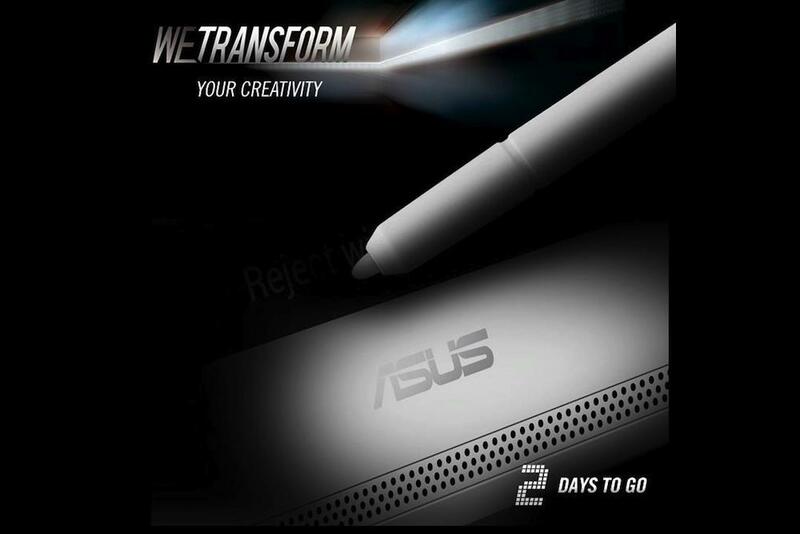 Asus is busily teasing a new device on its Facebook page, which will be announced on September 4, just before the start of the IFA tech show in Berlin. It all started late last week, when a post appeared saying, “Get ready as Asus unveils exciting new products at IFA,” accompanied by a picture showing a notepad and pencil, a desktop computer, and a tray of drinks. The image was titled, “We transform your possibilities,” and hinted we’re going to see a tablet device complete with a keyboard accessory and a waterproof chassis. The day after, Asus said, “A new generation is coming, but of which product?” The picture showed a tablet-like slate being taken out of a sleeve, linking it with the successful Asus Transformer product line. Asus then changed its tactics, as yesterday, a new picture was posted with the title, “We transform your perception, get ready for the evolution of an iconic notebook design.” Sure enough, the picture shows the back of a laptop case complete with Asus branding. A new Zenbook, perhaps, or is it the rear view of a Transformer tablet? Today, it has returned to more obvious imagery, as it shows a close up of what could be the rear of a slate and its speaker grille, plus a stylus. “Prepare for a new format and endless possibilities,” cries the blurb. Asus last launched a new Transformer tablet, the Transformer Pad Infinity, during Computex 2013, which boasted Nvidia Tegra 4 power, a processor which could also be used in the device being outed at IFA. Asus also revealed the FonePad Note, a smartphone/tablet hybrid, which came with a stylus. We’ll find out exactly what Asus is hiding very soon, on a day which is lining up to be very busy indeed, as Sony and Samsung have new hardware to show off too. Judging by previous Asus teaser campaigns, a video could follow these pictures, and we’ll update here if any more information is revealed prior to launch.